In 1983, Julie Conner had just completed her dietetic internship at Westchester County Medical Center when she was offered a position as a dietitian at a large nursing home (Daughters of Jacob Geriatric Center in the Bronx, NY). After six months of working there, she decided that she wanted to open a private practice where she could see her own patients for nutrition counseling. Back then, dietitians either worked in hospitals or nursing homes, and dietitians did not see patients in private practice outside of a hospital nutrition clinic. Julie pitched the idea to another dietitian at the nursing home. She liked the idea so together, they opened Nutrition Counseling Services of Westchester. Their first offices were in Fishkill, NY and Mamaroneck, NY. Soon after, the other dietitian decided that she did not want a career in dietetics anymore, so she decided to go back to school. Julie was left running the business on her own and renamed it Conner Counseling Services. At the time, Julie was living in Carmel, NY with her husband, Will. Over the next few years, Julie had three children and went back to school for her M.P.H. degree at the New York Medical College in Valhalla, NY. She received her degree while running both offices simultaneously. A few years later, she opened two more offices in Pomona and Suffern, NY in Rockland County. In 1992, when Julie’s daughter, Kristi was a year old, the Conner family moved to Brookfield, CT. Julie began seeing patients one day a week in the offices of Brookfield Family Medicine in Brookfield, CT. Conner Counseling Services at Brookfield Family Medicine grew. In the Fall of 1996, Julie moved Conner Counseling Services from Brookfield Family Medicine to a larger 500 square foot space at 777 Federal Road in The Brookfield Towne Center. Julie decided to change the name of her business to Healthy Weighs, a play of words on the “healthy ways” that Julie had been successfully guiding her patients towards. The building that she was renting was a storefront, so she decided to incorporate a small health food store into the business. Patients could purchase healthy foods that would help them to stay on their special diets. 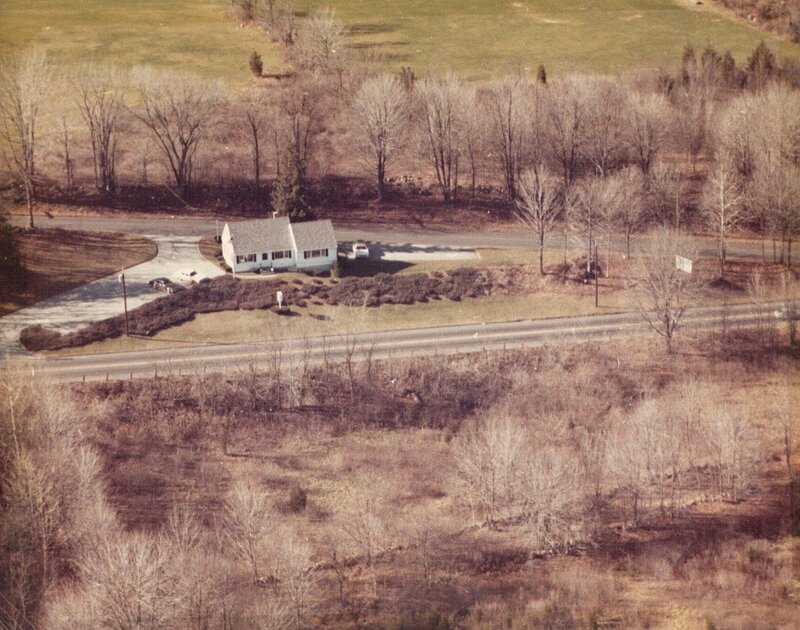 In January 1998, Julie was driving down Federal Road when she stopped at a local real estate office. The owner convinced her to see the old Marie White Real Estate building down the street at 366 Federal Road which she heard was for sale. Julie agreed and the rest is history. On January 27, 1998, Julie and her husband moved Healthy Weighs into the former Marie White Real Estate building. According to Lew White, the Marie White building was built sometime in the 1930’s. It was originally a dog kennel. It was one of the only buildings on that section of Federal Road, as the aerial picture we have hanging in our office depicts. Sometime in the late 1950’s, Lew and Marie purchased the property. Lew hired Ed Miller, a local contractor in town, to put an addition on the building. As we fast forward over fifty years, the Healthy Weighs Wellness Center building is newly renovated, and the services we offer have expanded. Dr. Brian Conner, Julie’s middle son, Chiropractic Physician and Certified Nutrition Specialist joined the practice in 2012, along with new practitioners and instructors. A new, much larger 2700 square foot addition was completed in 2014. We now provide a variety of integrative wellness services to the community. Follow us on Twitter! or on Facebook: healthyweighswellnesscenter. Stop by to chat with our staff or contact us at 203-775-1819 for more information.